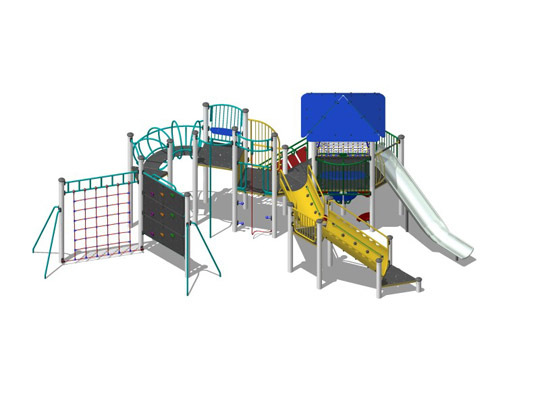 There are six different ways to climb onto this Playzone, with higher agility accesses for the able bodied, a 2.4m high vertical net, a climbing wall and a rope climb. 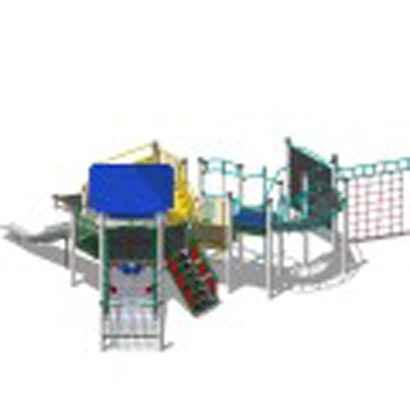 Equally challenging to less agile children are the large inclined inclusive net, a drag ramp and high visibility, extra wide steps. 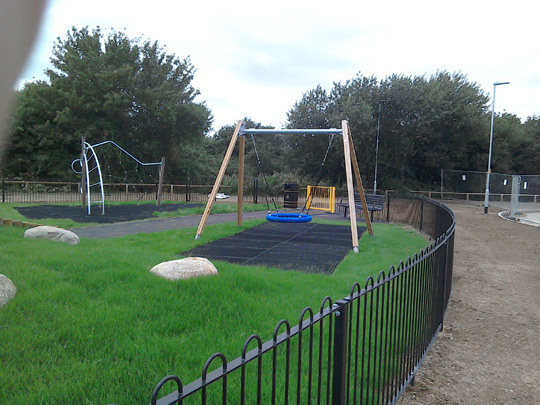 In effect – two units in one, with fairly difficult step-ups and a hoop bridge between the two areas so children don’t stray into an area too challenging for them. 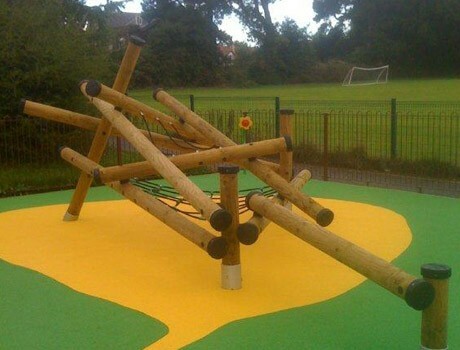 Transfer decks and side entry/exit slides mean good access for children with mobility problems.